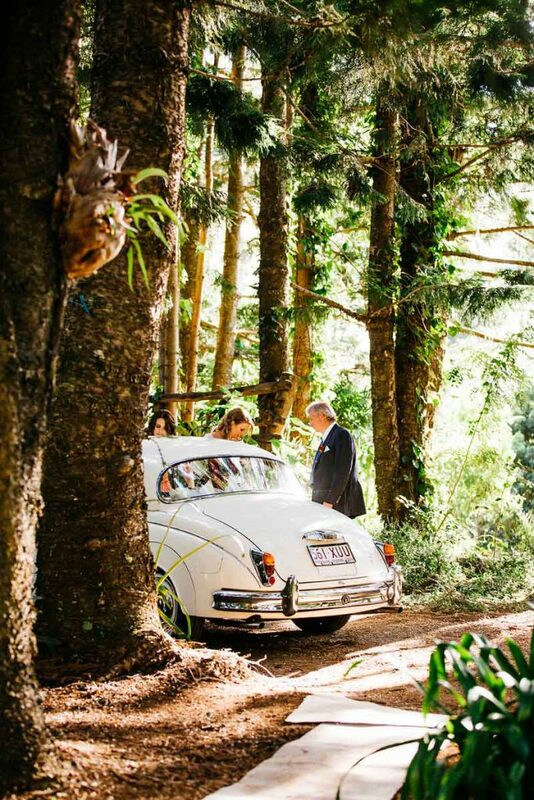 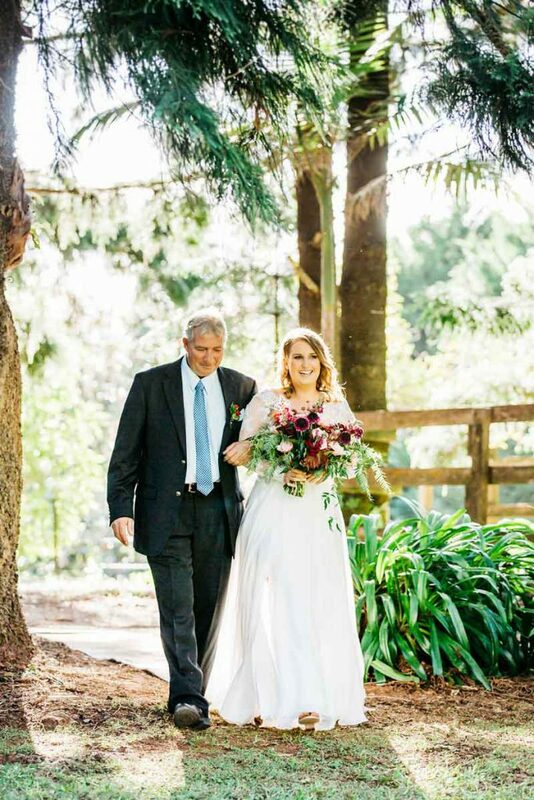 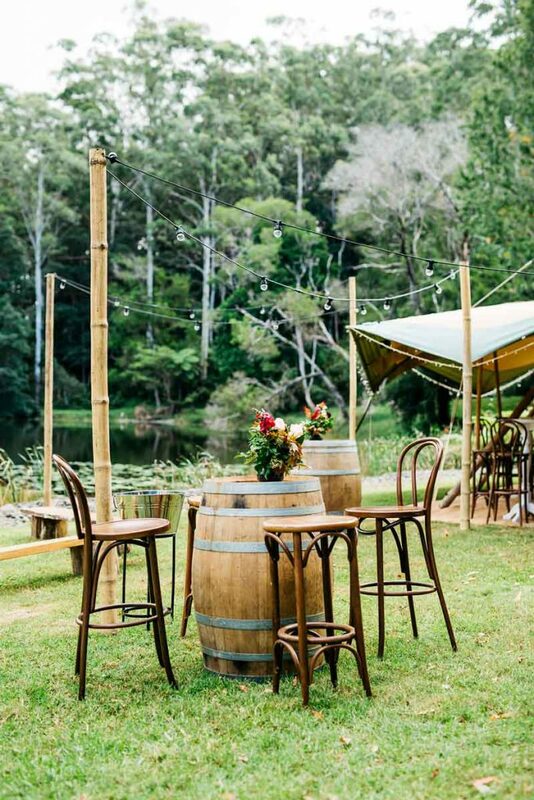 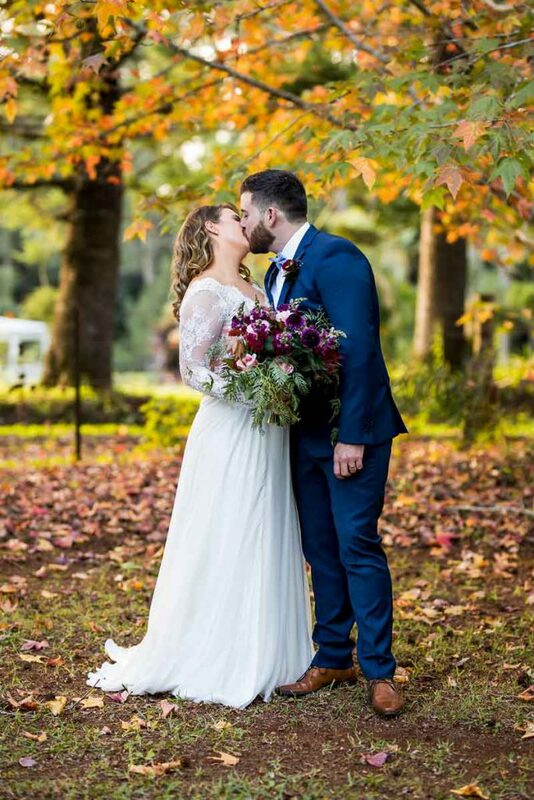 Cree and Luke’s wedding was wildly romantic and ambient set on the gorgeous gardens at Montville Country Cabins. 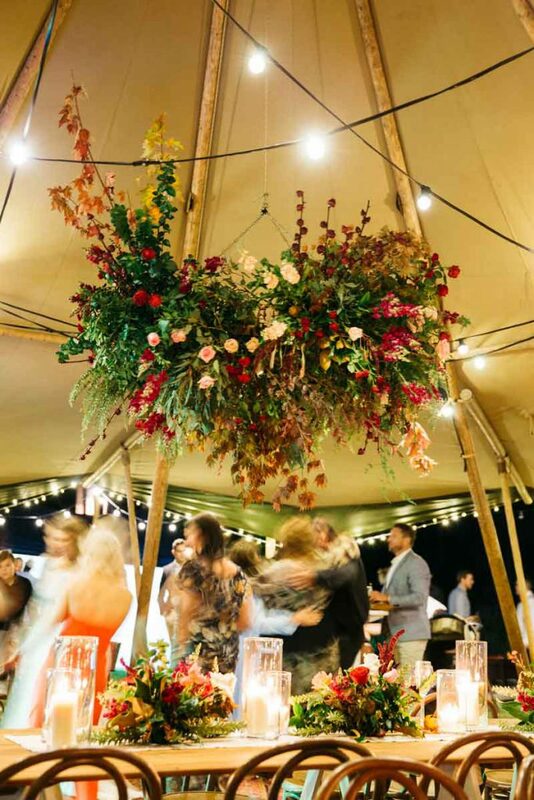 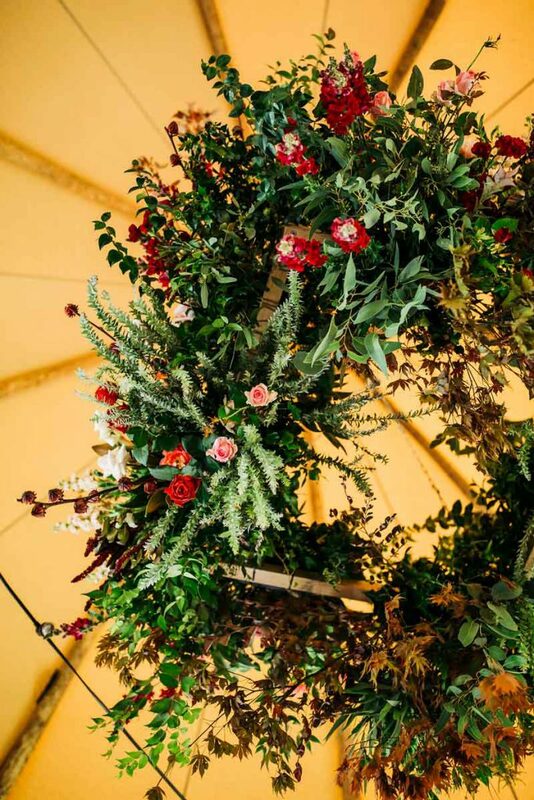 Bohemian styling done to perfection infused with a delicious colour palette, this wedding was a dream to work on. 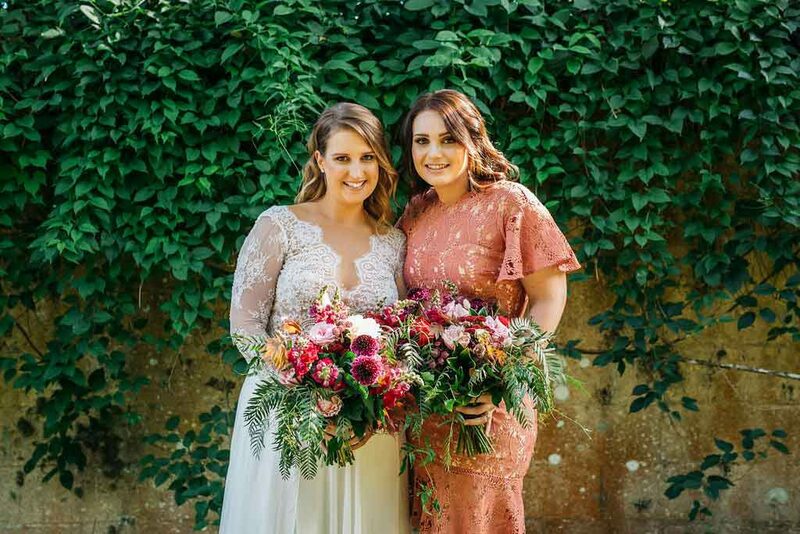 When Cree first got in touch with us it was before she had even booked a venue. 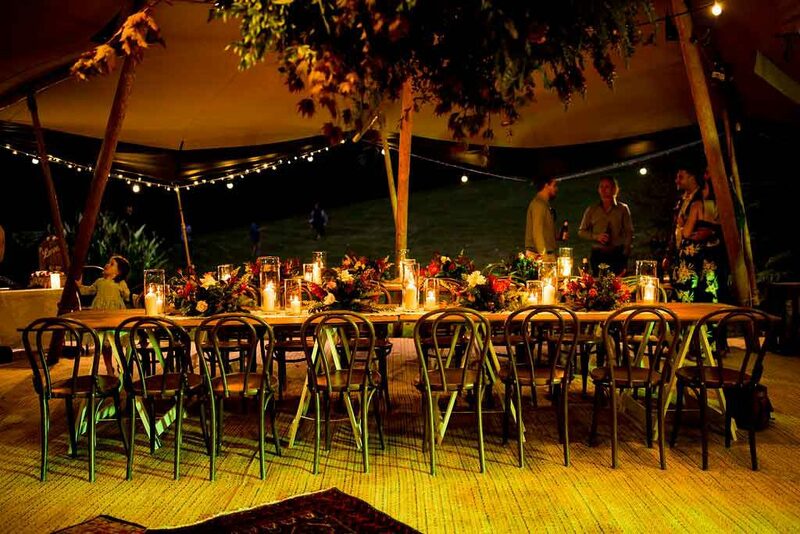 After been stood up by a venue for a viewing appointment Cree called me up so disappointed. 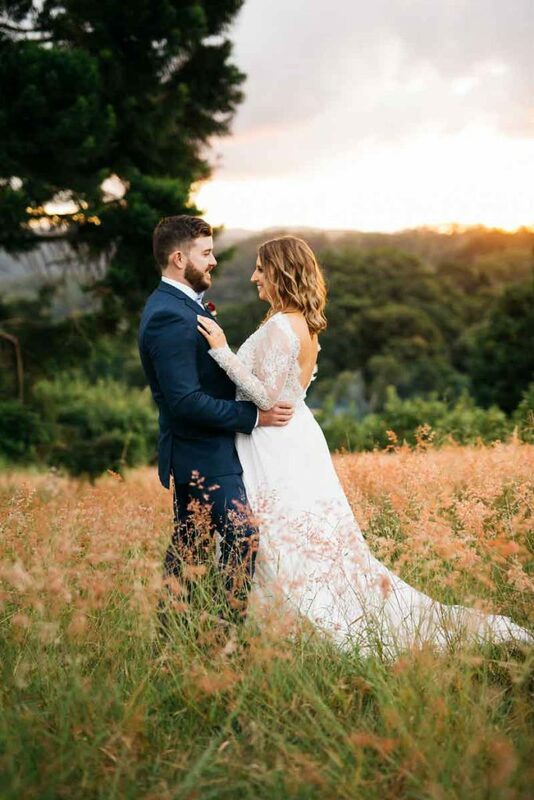 Without hesitation, I suggested for her and Luke to view Montville Country Cabins, a stunning and private 11-acre property nestled in the hills of Montville. 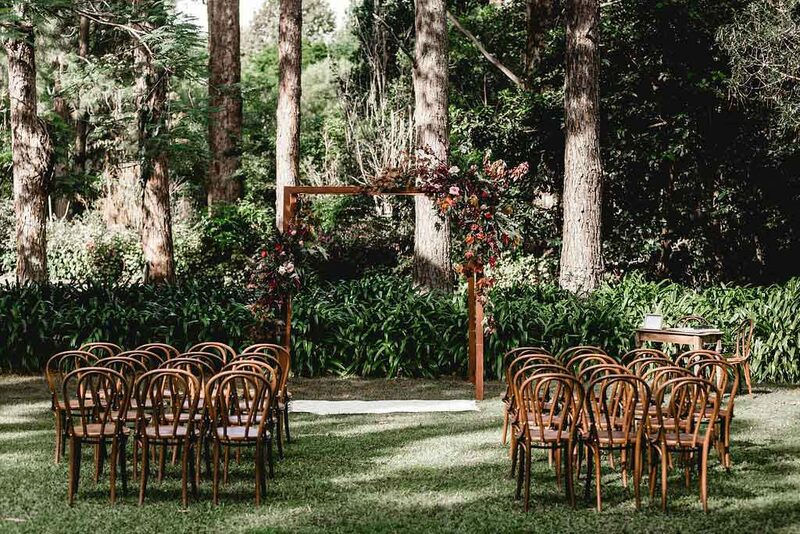 Cree and Luke fell in love with the venue and from there the planning began! 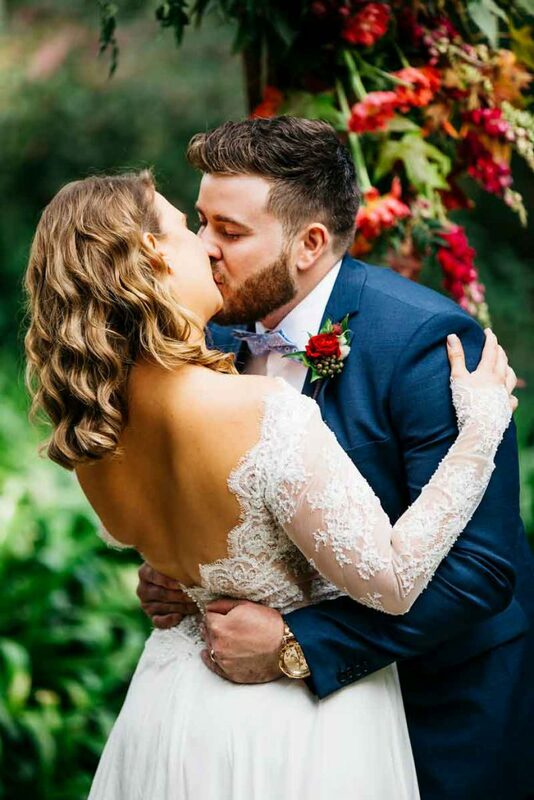 Sandi was the first supplier I booked when I started planning our wedding, I had seen her work at a friends wedding, it was the best decision I made. 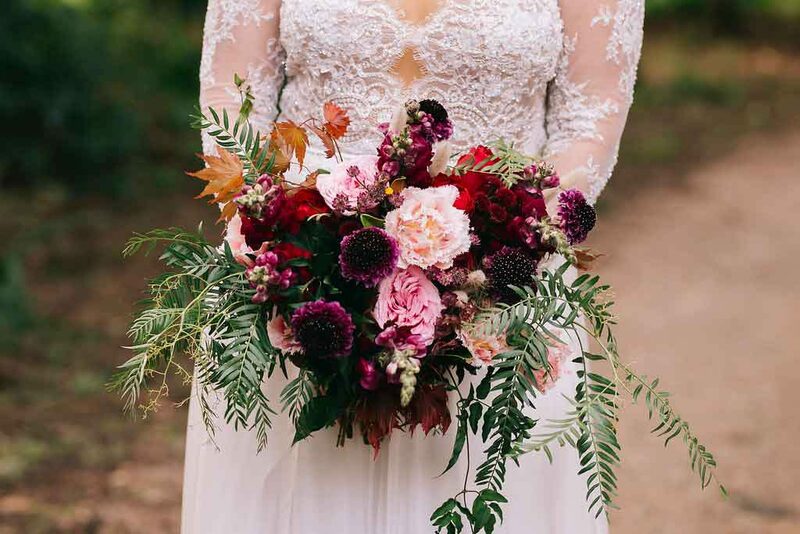 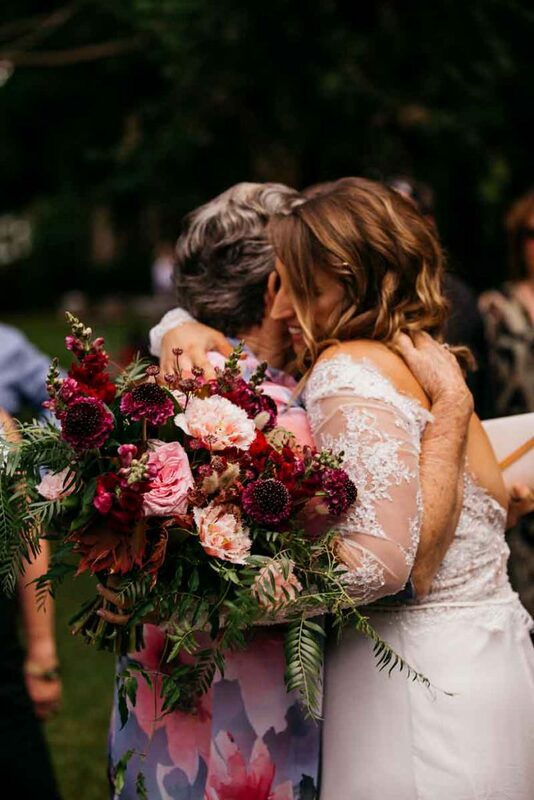 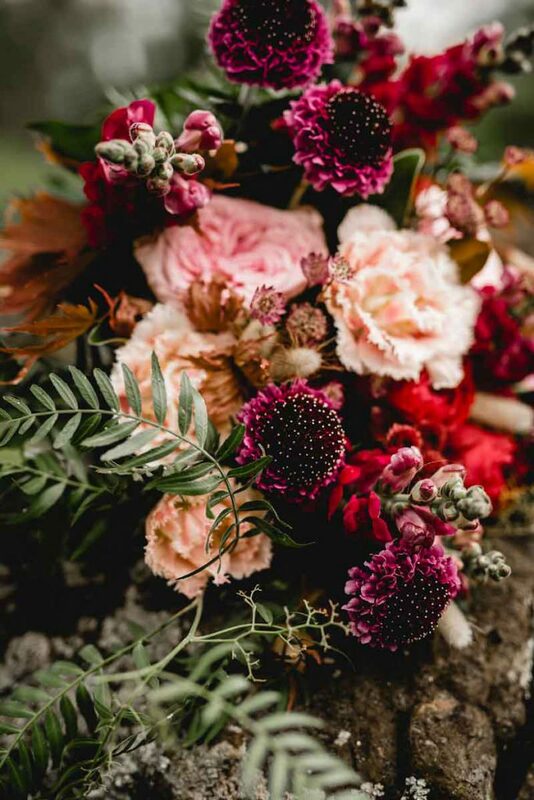 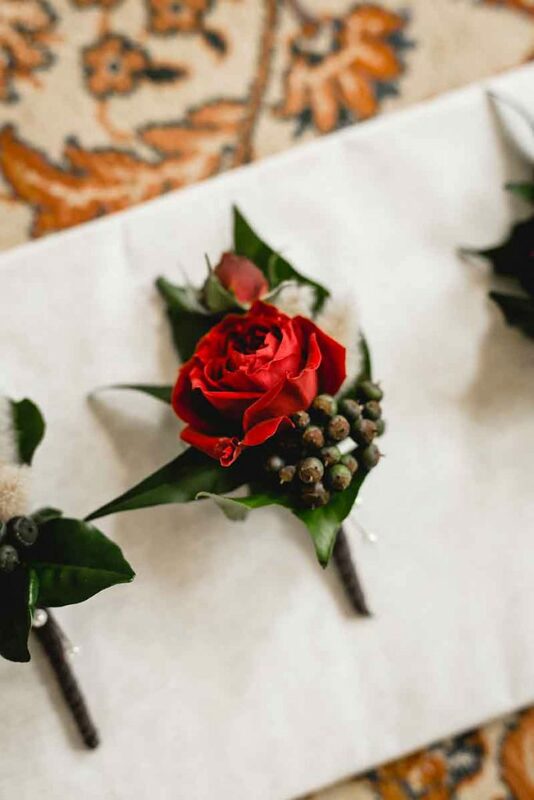 We used a mix of rich plums, burgundies, mid pinks, rich reds and plenty of autumn tones throughout the design for this bohemian yet refined Montville Wedding. 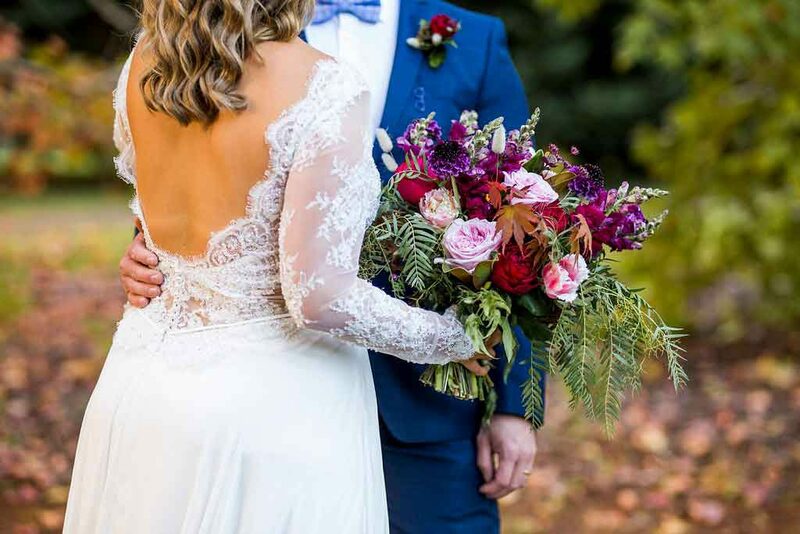 Our rustic style florals looked in unison with Style Le Aisle’s beautiful decor items of layered Persian rugs and vintage furniture. 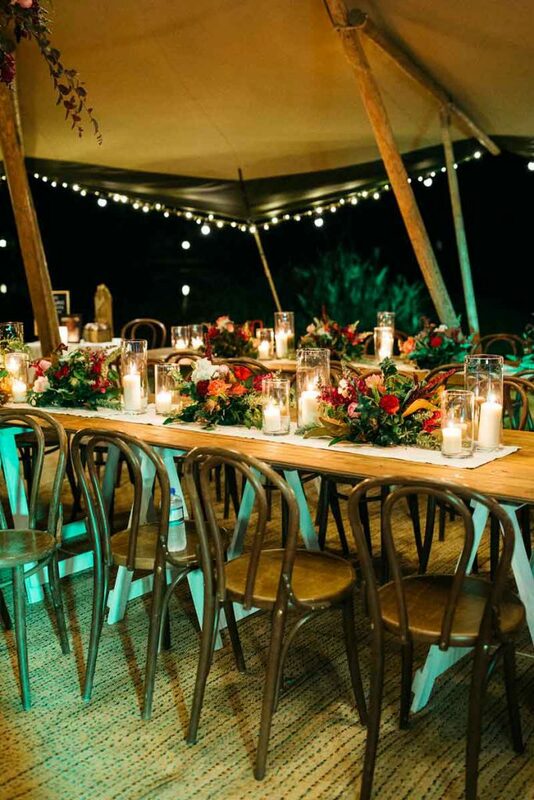 The cocktail party style reception was set up by the lake on the property under a Tipi Luxe tipi and featured an oversized suspended hanging garden which really wowed all of the guests. 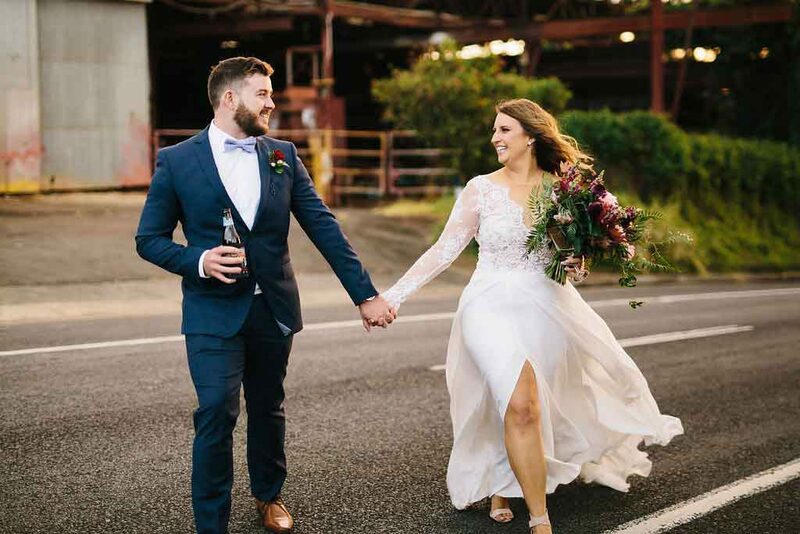 We really wanted Luke and Cree’s wedding flowers to be memorable, interesting and wildly romantic! 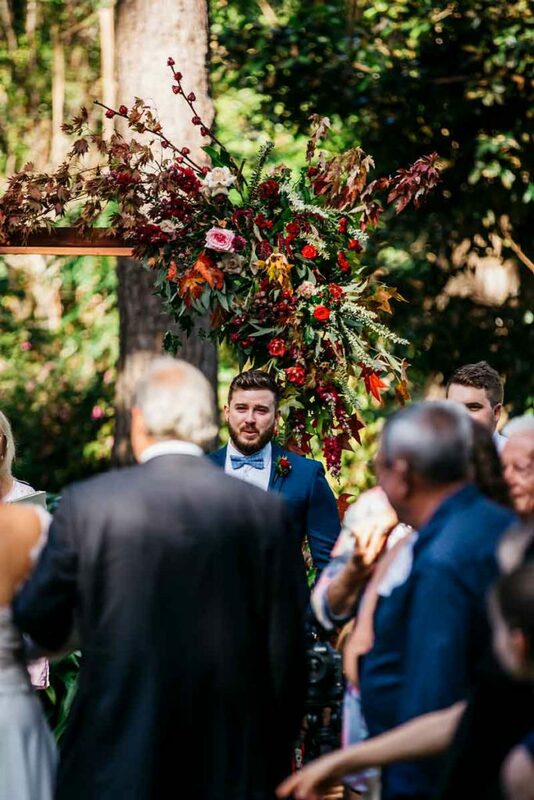 When I first saw the flowers at our reception I was blown away- they were stunning. 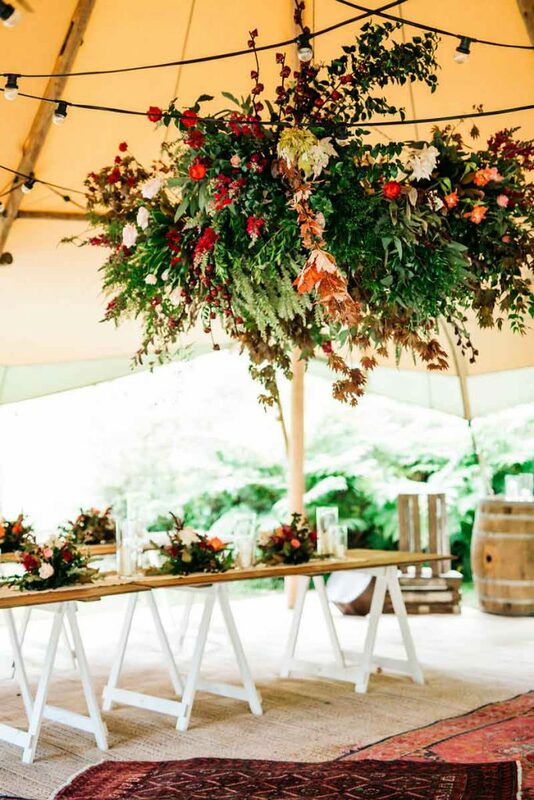 Because of Cree’s laid back and relaxed personality, it really gave us the flexibility to really push the boundaries with the layered colour palette, and let us be wildly creative with the hanging installation and stunning bridal bouquet to compliment Cree’s stunning custom-made dress by Marilyn Crystelle Bridal. 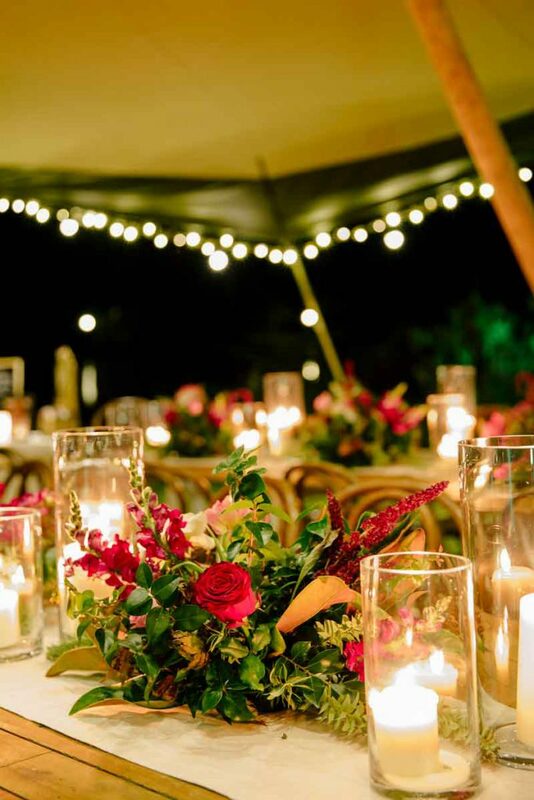 We find that when brides give us the green light to be creative we always do our best work! 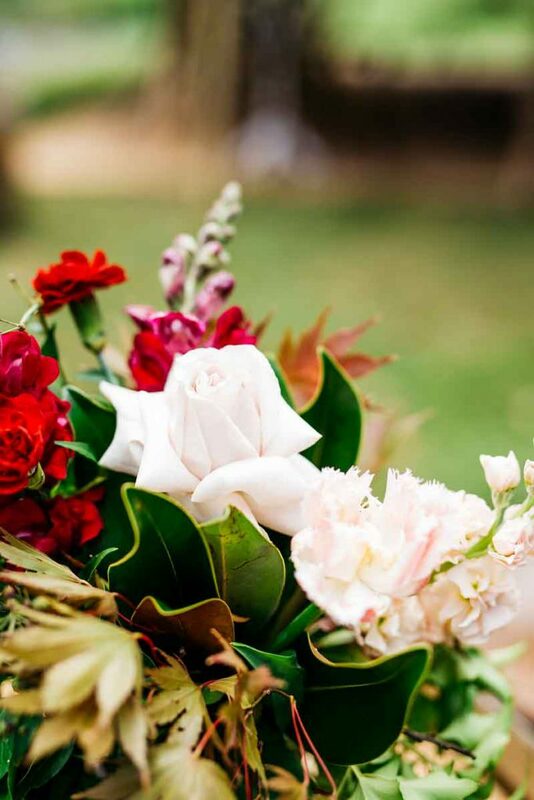 Photography by: Rikki Lancaster Photography.